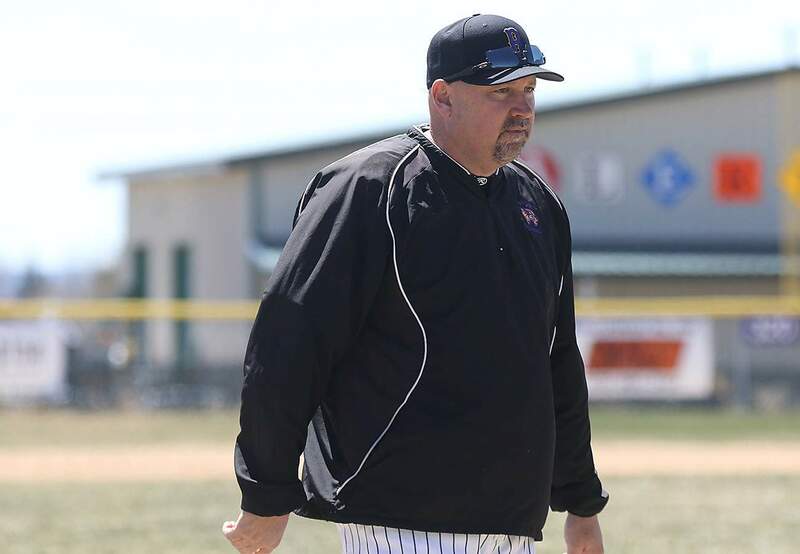 Interim head coach Jake Forsythe saw the Bayfield High School baseball team split a doubleheader with Centauri on Saturday in Bayfield. The Wolverines are 3-1 since Forsythe replaced Danny Petrie midseason. Gavin Mestas delivered a walk-off single, and the Durango Demons picked up a key season sweep of rival Montrose. The Durango High School baseball team squandered an 8-3 lead in the top of the sixth inning when some fielding errors and big hits by the Indians sent the hosts to a 9-8 advantage. But Durango, playing as the home team in the second of two games in two days at Montrose, answered back with a pair of runs in the bottom of the seventh for a 10-9 walk-off win. Before DHS beat Montrose 10-7 on Friday, the Indians had won nine games in a row and entered the week as the No. 10 team in the CHSAA Class 4A rankings. Durango improved to 7-4 overall with the win and 2-2 in the 5A/4A Southwestern League. Montrose fell to 9-4 and 0-2 in league. Mestas delivered the game-winning hit, as Cody Nightingale, who was on base running for Jordan Woolverton, scored the winning run. Mestas was 4-for-4 at the plate with a double, two runs batted in and two runs scored. He also walked once. Dawson Marcum had another good day at the plate, as he went 3-for-4 with two doubles and two RBIs. Ryan Genualdi was 2-for-4 with a double, two RBIs and two runs scored. DHS sophomore Fynn Hyson was on the mound for 5 2/3 innings. He allowed seven hits and seven runs, though only three were earned. He struck out five and walked one. Keegan D’Aleo closed out the final 1 1/3 innings. He allowed one hit and no walks. Two runs scored while he was on the mound, but none were earned. D’Aleo struck out three. Now, DHS will prepare for a non-league game at 4 p.m. Wednesday in Durango against Palisade (10-3, 7-0 4A Western Slope League). Bayfield High SchoolAfter a tough 4-0 loss in Game 1 of a doubleheader against Centauri, the Bayfield Wolverines bounced back with an 11-1 win to salvage a split. In the Game 1 loss, Bayfield (8-5, 5-1 3A Intermountain League) was held to only four hits, as Hub Brandon went 2-for-4, Max McGhehey went 1-for-4 and Andrew Morgan was 1-for-1. BHS threatened with base runners on a few times through three walks but could never push a run across the plate. Centauri (6-7, 2-4 IML) scored once in the first and three times in the fourth inning. Jake Brandon pitched four innings for Bayfield and was charged with all four runs. He allowed five hits, including one home run, while he struck out six and walked two. Morgan pitched three clean innings in which he allowed one hit and one walk to go with four strikeouts. Centauri again jumped out to a 1-0 lead in the first inning of Game 2. But Bayfield’s bats came alive and answered with three runs in the bottom of the first, one in the second, four in the third, one in the fourth and two in the sixth to deliver the mercy-rule win. Hub Brandon went 2-for-3 with a double and two RBIs and two runs scored. Rhett Hoover was 1-for-2 with two RBIs, and Hayden Farmer also had two RBIs on a 1-for-3 game at the plate. Jake Brandon, Michael Gettman, Kaleb Heck and McGhehey all scored twice in the game. Alec Demko and McGhehey drove in runs. Gettman pitched the game for BHS. He went a complete six innings and allowed three hits and one run. He struck out six and walked two. Bayfield will hit the road next Saturday to face Alamosa for a doubleheader.